With Valentines day just round the corner, why not give your loved one the gift of booking one of our hair services for them. Choose from blow dry’s, colour services, conditioning treatments, hair cuts, hair extensions and hair up do’s. Our highly skilled team is on hand to advise on the best hair styles and after salon care. Gift vouchers: Unsure what to give your loved one? let them choose for themselves with one of our Abstract Hair Design gift vouchers. To book any of our services call us on 0151 327 3377, message us or pop into the salon. 2. 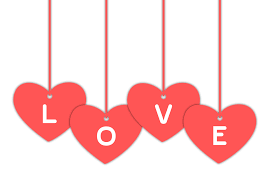 Like our Valentines giveaway post, in the comments share the love by tagging a few friends, share the post. The more friends you tag, the greater your chances of winning. Our competition runs from 1 to 14th February 2019.